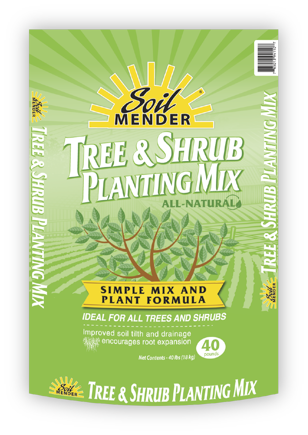 Soil Mender Tree & Shrub Planting Mix contains a specially-formulated blend of organic ingredients to get your trees and shrubs off to a great start. It is an easy way to add organic matter and improve soil structure while planting. Containing composted cotton burrs, composted cattle manure, composted pine bark and composted wheat straw, it super-stimulates fungal growth, making it one of our finest composts.